When a child is first diagnosed with a disability, parents must learn a lot in a short time if they want their child to receive the best services. Finding that information can be challenging, but NICHCY is here to help. Has your child been classified as having an “Other Health Impairment”? NICHCY’s fact sheet can help clarify what that means. Has your child experienced a Traumatic Brain Injury? NICHCY’s fact sheet can help you understand how that disability affects learning. 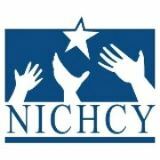 NICHCY’s Disability Fact Sheets are our most popular web pages. Each fact sheet includes a definition, causes, characteristics, how common the disability is in school-age children, educational considerations, and helpful organizations for further information. Most also include supports broken down by age group, tips for teachers, tips for parents and a story of a child with the disability. The fact sheets are a great starting point for anyone who is living or working with a child who has a disability. Many are also available in Spanish—easy to read, easy to share. What fact sheets does NICHCY offer? In the list above, we’ve identified which fact sheets are available in Spanish with an asterisk. Our most visited fact sheets are Intellectual Disability, Emotional Disturbance, Speech and Language Impairments, and Other Health Impairment. Why turn to NICHCY’s fact sheets? Sure, there are great resources available on specific disabilities from medical sources, disability-specific advocacy organizations, and education professionals. But there are also (more than) a few less-than-accurate sources online that can be distracting and difficult to wade through. NICHY does the work of collecting the reliable information you need to get started, and we put that info all in one place. NICHCY presents accurate information that is written specifically to meet the needs of parents and educators, and we include links to trusted sources of information so you can continue gathering information effectively. First and foremost, the fact sheets are a starting point for building your own knowledge. They’re also great to share with family members. If your child has recently been identified with a disability, it can be exhausting to repeatedly explain the condition to aunts, uncles, and grandparents. Share a fact sheet instead and empower that person to learn on his or her own. You can even share this additional information at IEP meetings. Share these facts sheets with your child’s teacher and other adults with whom your child interacts with at school. The “Education Implications” and “Tips for Teachers” sections are excellent practical resources for general educators. NICHCY’s materials are always copyright-free, so you can share them freely either in print or electronically. Help yourself! Elaine Mulligan is the Project Director of the National Dissemination Center for Children with Disabilities (NICHCY), a federally-funded project that provides information to the nation on disabilities in children in youth; programs and services for infants, children, and youth with disabilities; IDEA, the nation’s special education law; and research-based information on effective practices for children with disabilities.